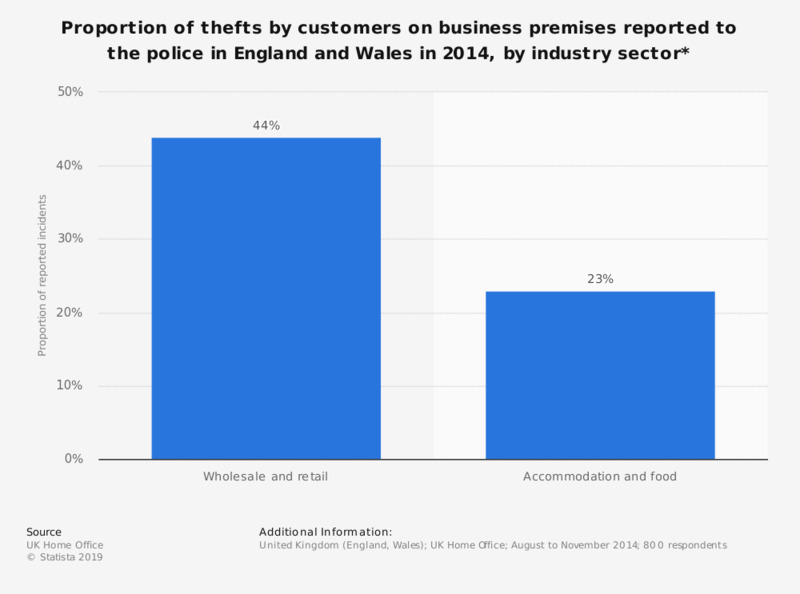 This survey shows the proportion of thefts made by customers on business premises that were reported to the police in England and Wales in 2014, by industry sector. In the 12 months prior to survey, accommodation and food premises reported just 23 percent of thefts by customers to the police. * Data refers to incidents in the 12 months prior to survey. Surveys were conducted between August and November 2014.